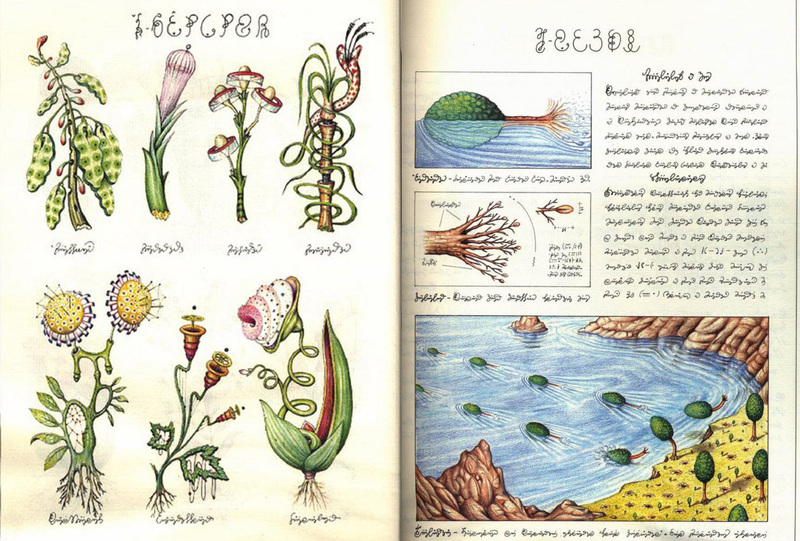 For those who have ever wondered what the visions I receive look like, the Codex Seraphinianus is an amazing start to describing them. Published by Luigi Serafini in 1981, this work is an amazing encyclopedia of illustrations and a created language. I'm sure most people's first thought when looking at it is not, "He's an intuitive and visionary!" However, that was the first thought that came into my head as I looked at these pages. I don't have the artistic skills to draw things the way he does, but looking through the illustrations that are posted on the-dimka.livejournal.com, I felt as though I was receiving one of my healing messages. While I certainly don't speak whatever language this is written in, I did feel like I could understand some of the pictures once I flipped into my third eye vision. Looking at them through my normal view, though, they seem really crazy though beautifully drawn. Because the visions I receive are like this, it requires "translation" which is why I don't do on-the-spot messages for people most of the time. I need time to figure out what exactly I just saw. I can't tell you how many times in the course of receiving messages I've asked the guides, "What in the hell is that?" :) All of it is really "out there" stuff, and many days I tell the guides I am communicating with that I would really appreciate it if they would just use English subtitles!